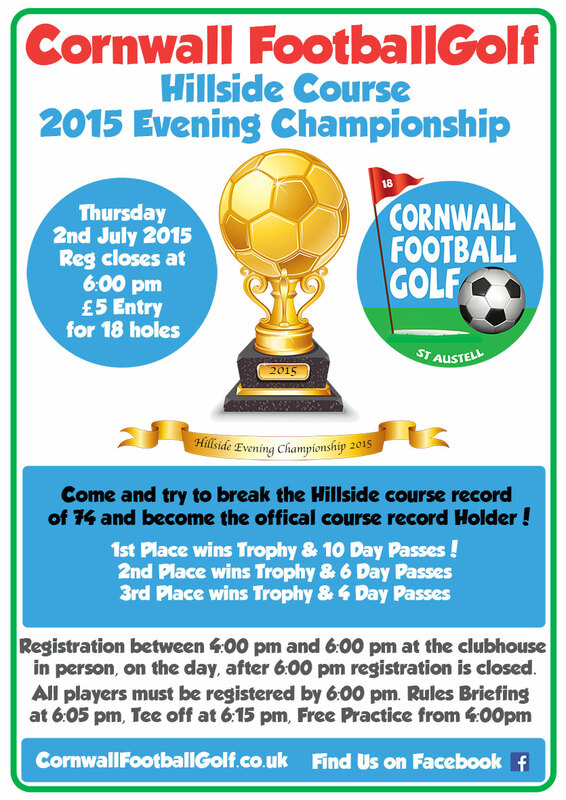 Come and try to break the current Hillside course record of 74 and become the official FootballGolf Park course record holder! Players will be picked out of a hat at 6:00 pm and split into groups of 3 for the tournament, every person in the group will have a scorecard and everyone in the group will score each other. All players in the tournament must be at the rules briefing at 6:05 pm in the clubhouse – Tee off times for all players will start at 6:15pm The tournament should be completed by 8:30 pm with the full results & winners announced soon after 8:30pm.